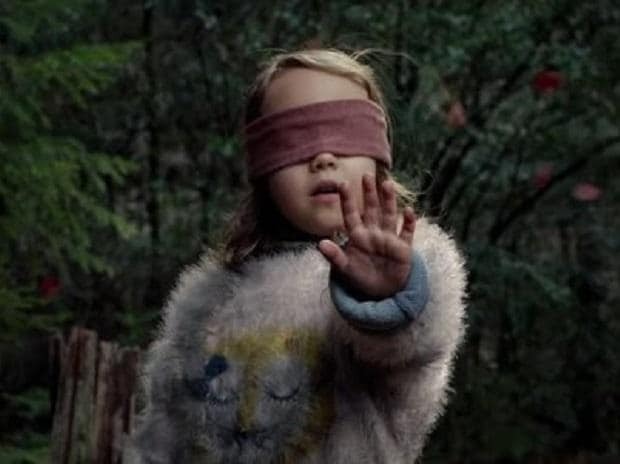 Netflix US has urged its viewers to refrain from undertaking #BirdboxChallenge. The challenge, which dares people to complete everyday tasks while blindfolded is inspired from the Sandra Bullock-starrer horror feature. It started trending on social media after the film released on the streaming giant's platform on December 13. Taking note of the viral trend, Netflix issued a warning to the viewers, asking them to indulge in such a practice. "Can't believe I have to say this, but: PLEASE DO NOT HURT YOURSELVES WITH THIS BIRD BOX CHALLENGE. We don't know how this started, and we appreciate the love, but Boy and Girl have just one wish for 2019 and it is that you not end up in the hospital due to memes," the US arm of the streaming giant tweeted. Netflix has claimed that over 45 million of its subscribers watched "Bird Box" within the seven days of its release. The film follows Mallory (Bullock), who flees with her two kids, named Boy and Girl, in search of a safe haven, a "sanctuary." The three characters wear blindfolds while navigating through the rapids, the forest, and other treacherous terrain.